This is it. The end. 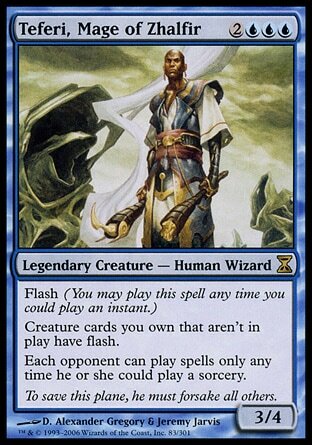 Let's see what Teferi can do. Teferi smiles. In his excitement he tells Jhoira that Radha has done it. 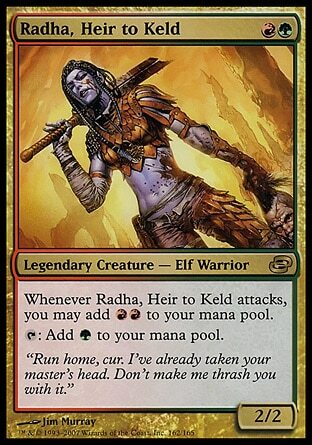 She's defeated Greht and become a true Keldon warlord. That's his answer. Not the part about her accomplishing her life's goal, but that she was able to transfer her link from the rift to the mountain of Keld. Everyone is tied to the land they're born from, but she was able to change it through sheer force of will. If the transfer can be made in one direction, he's sure he can do just the opposite. He can become one with the rift if he's strong enough and if he gives everything has to do it. Teferi thanks Jhoira for supporting him in his greatest endeavor, then he says good-bey and flies toward the rift without waiting for a response. 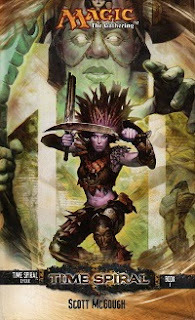 Jhoira yells out that there must be another way. He tells her he'll try if they can come up with one by the time he enters the rift, but if they can't she's to keep watching to try to learn what he does so she can pass on the knowledge. She need to find help from others to help continue the work. 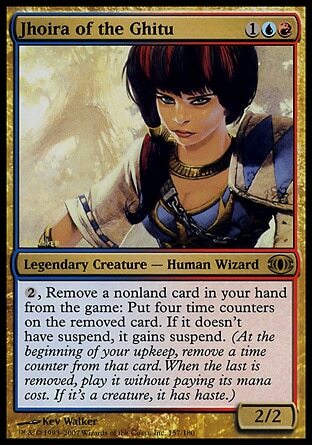 Radha's actions had made it clear that she and Venser are not planeswalkers, at least not like how he and Freyalise are, but they did have a strange connection to the multiverse. 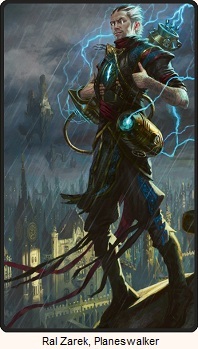 They have their own different kind of planeswalker sparks. 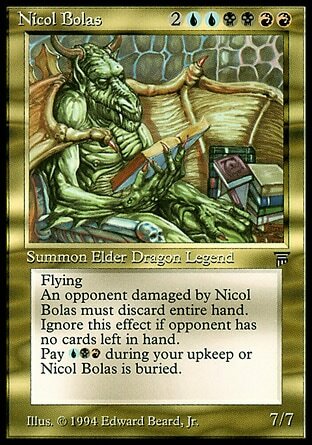 Nicol Bolas had seen it, and he used that connection to travel back to Dominaria when he could no longer do it on his own. If Radha had strengthened her bond to the rift and not pulled away from it, she could probably survive the Blind Eternities on her own. 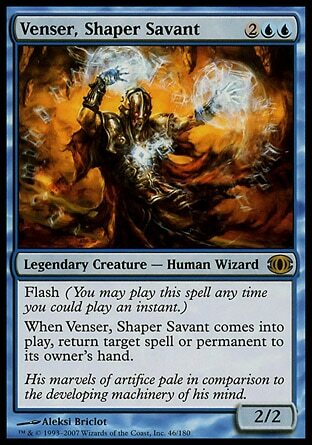 The same with Venser. But that was for someone else to discover. For him there is only the Shivan Rift. There is no room for Shiv, Dominaria, and the rift to all co-exist, so it's clear it's the rift that must be destroyed. 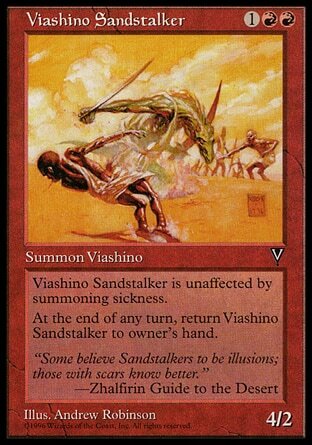 He wouldn't be the first planeswalker to give up his life for a cause. It is his time to do the same. Teferi lets go of his physical form and confronts the rift as if it is an enemy. At first it resists him but he forces his will upon it and soon he and rift are in sync. He concentrates and gathers all the energy he can about the center of his consciousness and is ready to perform one final act. Jhoira would know what had happened after he was gone. She would continue his mission and find someone to deal with Zhalfir and the rest of the rifts. And perhaps someone is already with her that can help. Then, smiling in his mind's eye, Teferi let go, releasing that energy in a blinding, magnificent flood of liquid blue will and cloud-white fury. 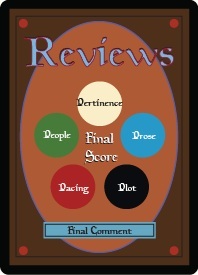 The searing sensation in his nostrils is the first thing that Teferi notices. He wakes and realizes he did it, and he is still alive! Venser, Jhoira, and Corus all stand over him. When he sits up Jhoira is ready to share in his success, and then follow it up with a slap. She tells him he's to never sacrifice himself again without telling her first. Corus warns him that more than fifty hostile Shivans are advancing. 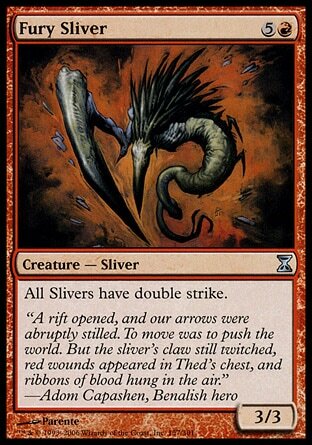 Some slivers as well. Teferi says not to worry and puts up his barrier once more. Or at least he tries. A rock comes flying at them and hits him squarely in the head. Teferi first notices the pain, and then when he pulls his hand away he sees the blood. "This could be very bad," Jhoira said. "I think we're in real trouble." Venser sighed. "For a change." So Radha provides him one final lesson. I like the call back to the beginning. As soon as he set eyes on her he knew she was the key to solving everything, and even though she left the group and the mission, she still provided the answer. And his plan really was to try to kill himself. I wasn't sure he was going to do that until the end. Having the both Shiv and Zhalfir to save was a good way to keep me unsure that his sacrifice was the solution. In the end he just accepted he was just going to do all he could, and Jhoira would know how to follow it up. The fact that he survived was no surprise thanks to remembering one of the articles from the mothership talking about how they were able to finally make a card for him because he was no longer a planeswalker. He couldn't die before he was depowered. But now his life is free game from here until the end of the trilogy. Will he surive and have a happy ending with Jhoira? Or are they never meant to be? Whatever the answers are, I'm looking forward to the rest of the trilogy! Planar Chaos is next!